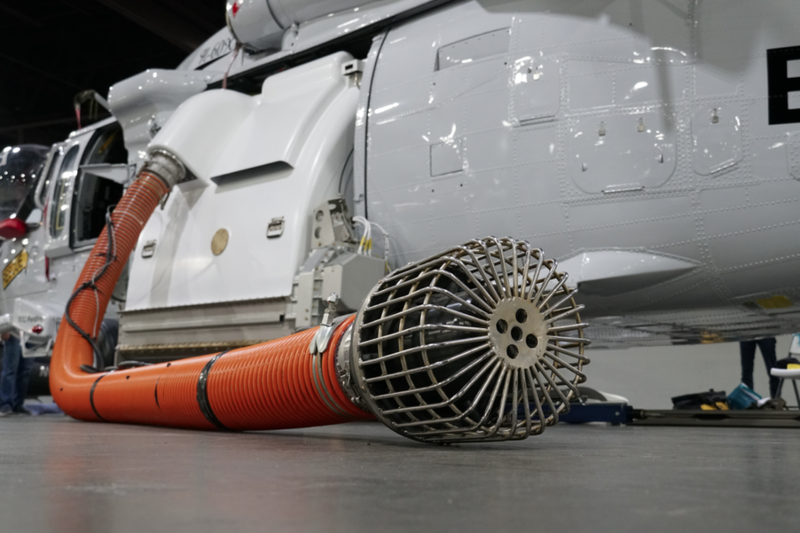 The 925-gallon tank can be installed in Black Hawk helicopters without cutting or modifying the aircraft; the existing tie-down points on the Black Hawk are used to secure the tank in the aircraft. The 15-foot snorkel can pull up 925 gallons of water in roughly 50 seconds when only the pump loader is under the water. In instances where there are deeper water sources and the snorkel can be further submerged into the water, the tank can be filled in about 40 seconds. BHI²’s tank will come with a software package that will allow pilots to perform different types of drops including split drops, half-tank drops, and third-of-a-tank drops. 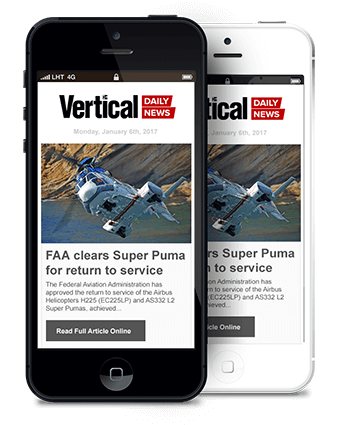 The company is about 60 days out from receiving a supplemental type certificate (STC) on the tank system, Bart Brainerd told Vertical. “We’re excited to see this go into operation fighting fire hopefully this summer,” he added. Flight tests with the tank installed on BHI²’s research and development aircraft (H-60X) began in September 2017, and it was tested through the spring of 2018. 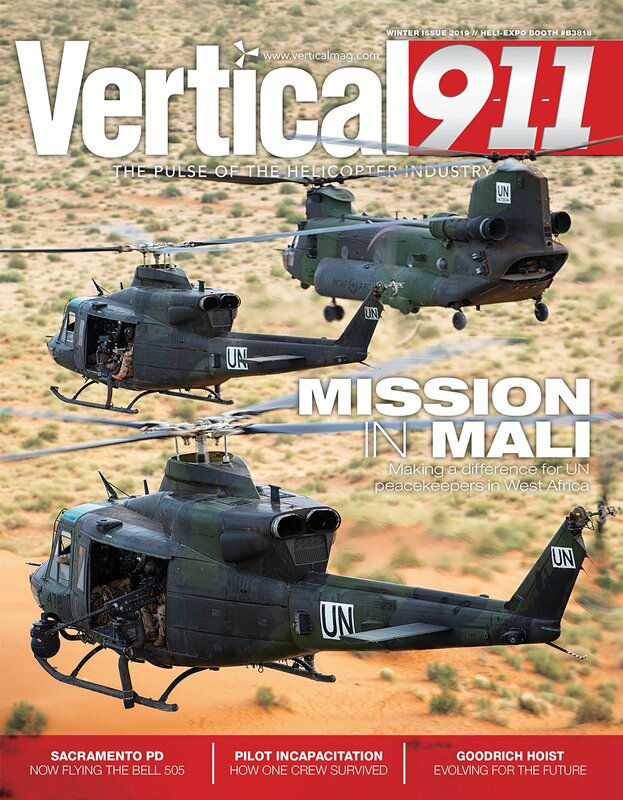 The tank has been successfully tested at the aircraft’s Vne of 193 knots. The company is estimating the tank will be flown at a speed of 160 knots once certified, but potentially as high as 175 knots — which is the same speed BHI²’s bubble window is certified at. 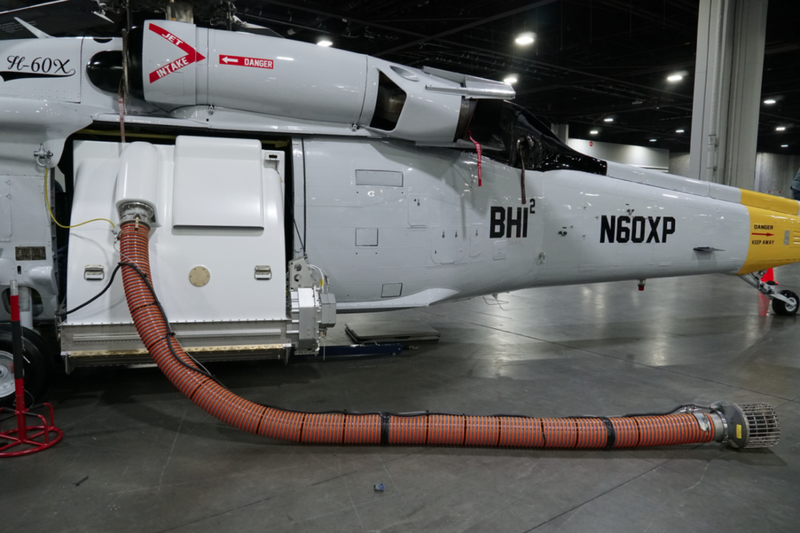 While the floor limit in the Black Hawk is 8,400 pounds, BHI² is estimating that the aircraft’s operating weight with a full tank of water will be around 8,200 pounds. 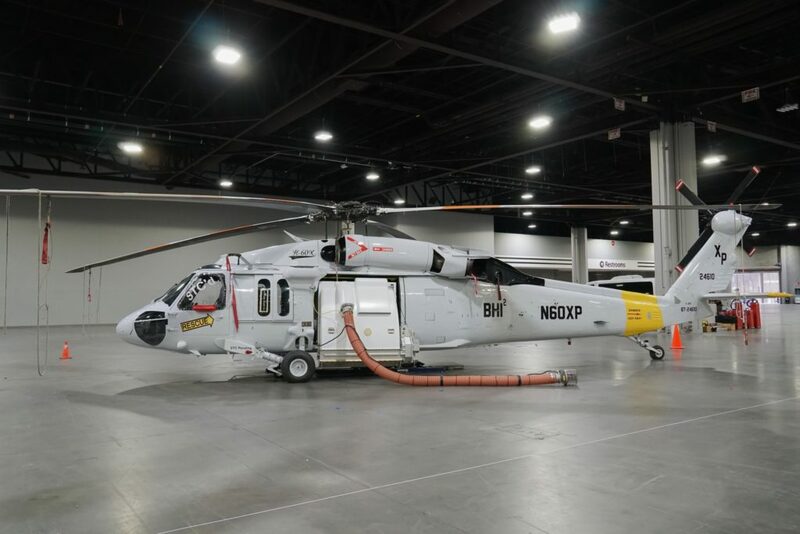 The company brought its H-60X research and development aircraft, equipped with the new firefighting tank, to the static display at this year’s HAI Heli-Expo 2019 in Atlanta, Georgia. 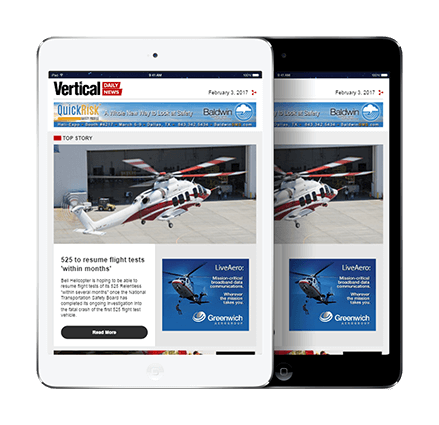 The aircraft is based in Leesburg, Florida, and is carded with the U.S. Forest Service; it can be pressed into service to fight fires if needed. 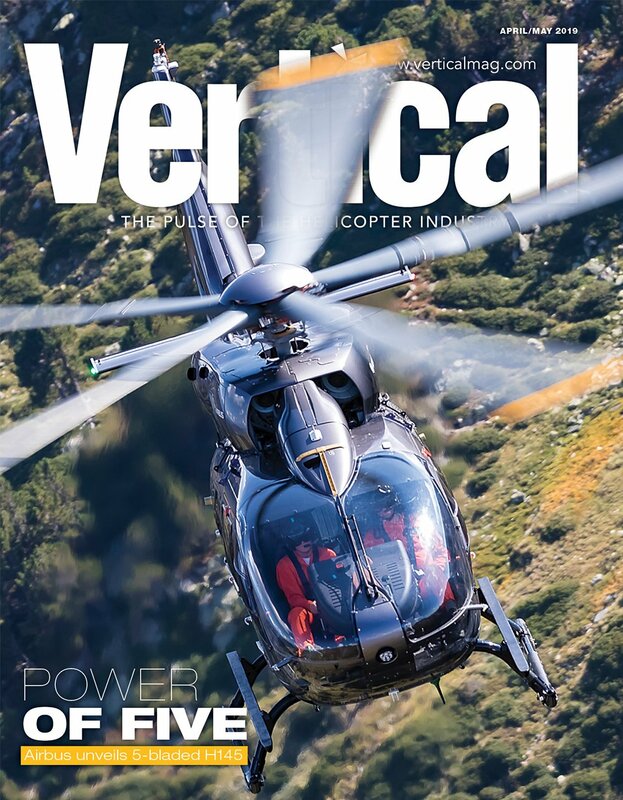 BHI²’s H-60X also features the company’s full vertical reference kit, which includes a bubble window with a cutout and a cut-back step faring that provides better load visibility. BHI² is not offering the tank for commercial sale at this time.